Snapshot – Powerful petrol powered V6 sedans and SUVs are second nature in some parts of the world such as North America and the Middle East. The reason is easy to see. Petrol is relatively more affordable in these parts of the world. In India though, where we pay through our noses for petrol, V6 petrol engined sedans are a rare breed. In the past though, some mass market car makers did take the initiative and bring V6 engined cars to India. Needless to say, these cars bombed. There’s a silver lining though. 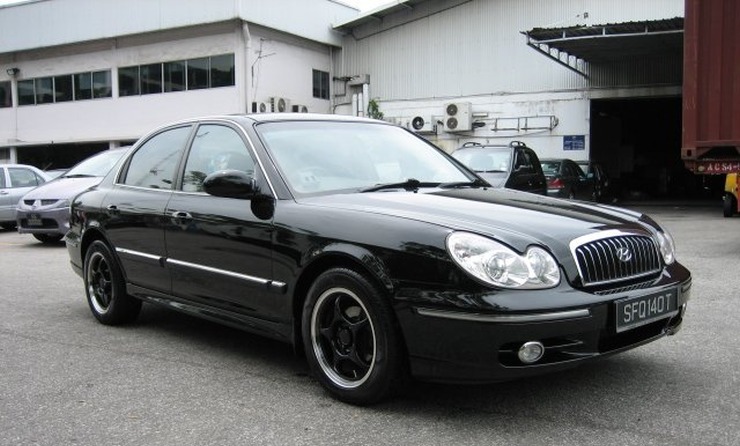 Poor resale value of this big engined cars means that they’re super affordable. And if you don’t drive much, you can still afford to run a V6 petrol engined car. We’ve rounded up 3, V6 petrol engined luxury sedans that you can buy for under 4 lakh rupees. The Hyundai Sonata Gold was sold in India between 2001 and 2005, and was one of those cars that mimicked the Jaguars as far as the design went. The Sonata Gold was offered with two petrol engine options, a 2 liter-4 cylinder unit and a 2.7 liter V6 unit. The 2.7 liter V6 engine put out 166 Bhp and 226 Nm, which made it one of the most powerful D-Segment sedans of its time in India. A 4 speed torque converter automatic powered the front wheels of the car, but the gearbox’s response was nothing to write home about. Poor mileage of about 6 Kmpl on city streets meant that the Sonata Gold 2.7 V6 was dead on arrival, except for a bunch of buyers who were taken by the car’s looks. The Sonata Gold 2.7 V6 makes for a decent restoration job as well maintained examples of the car are quite rare. You can pick up a 2005 example for about 1.5 lakh rupees in Delhi. 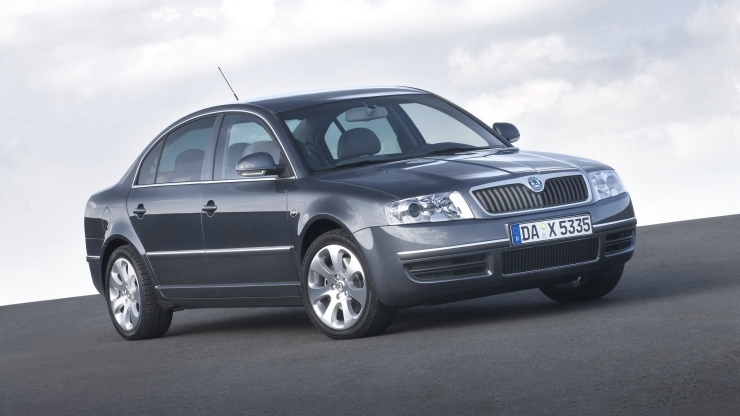 The first generation Skoda Superb is a solid Czech car that proved to be much more reliable than its cheaper sibling, the Octavia. Essentially an Audi A6 in disguise, the car’s petrol was sold with a 2.8 liter V6 motor with plenty of poke under the hood, in this case 194 Bhp and 280 Nm. A five speed automatic gearbox transmits torque to the front wheels of the car. Heavily built, the Superb V6 offered twin airbags and ABS+EBD. The car’s sense of solidity has to be experienced to be believed. The car also features top quality leather interiors. A well maintained 2007/08 example from Delhi with about 70,000 Kms on the clock will cost you 3.75 lakh rupees. For 3.75 lakh rupees, you can realistically buy a 2007 Honda Accord 3.0 V6 with about 60,000 kilometers on the odometer in Delhi. The car uses a 3 liter, V6 petrol motor that’s naturally aspirated. This VTEC petrol motor puts out 221 Bhp of peak power and 276 Nm of peak torque. A 5 speed automatic gearbox comes standard with this motor. Front wheel driven, the Accord V6 can hit a top speed of 212 Kph, while the 0-100 Kph sprint comes up in under 10 seconds. 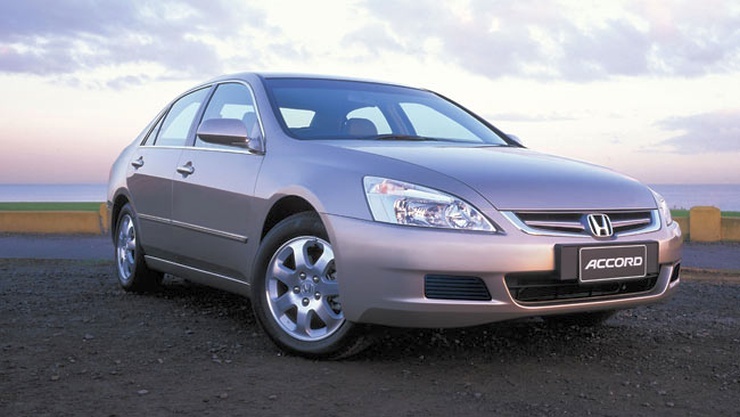 On the whole, if you want performance, luxury and space at a dirt cheap price tag, the Accord 3.0 V6 is the way to go. Fuel efficiency? 6-8 Kmpl in city traffic is what you can expect. ABS+EBD, disc brakes on all four wheels and twin airbags come standard.